Insert the power cable micro USB connector from iCalm charging port. 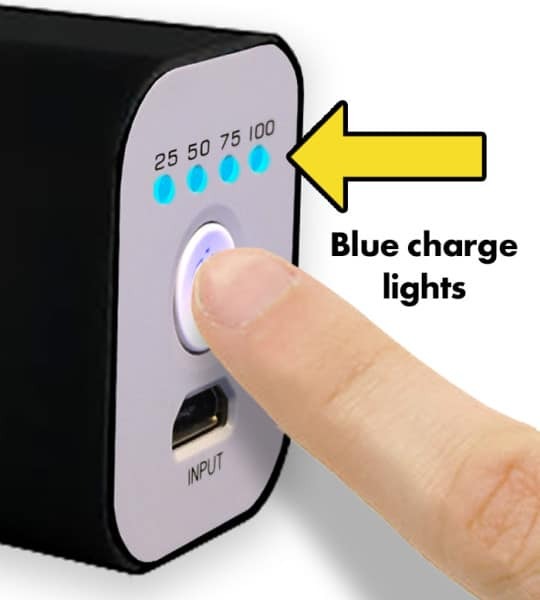 When the Power Bank needs recharging, all it’s blue lights will rapidly blink. 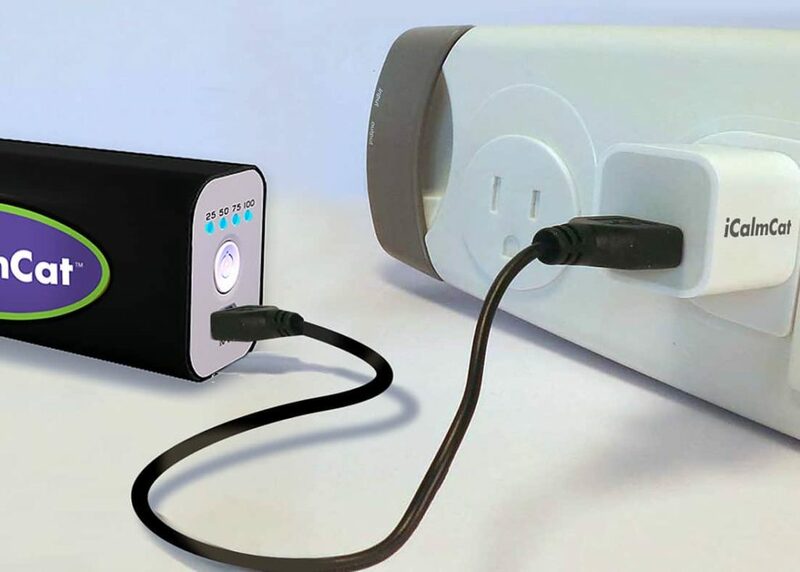 Attach the small connector end of power cable into the Power Bank INPUT port (the side with lights), and then the other end of the cable into an adapter and electrical outlet. 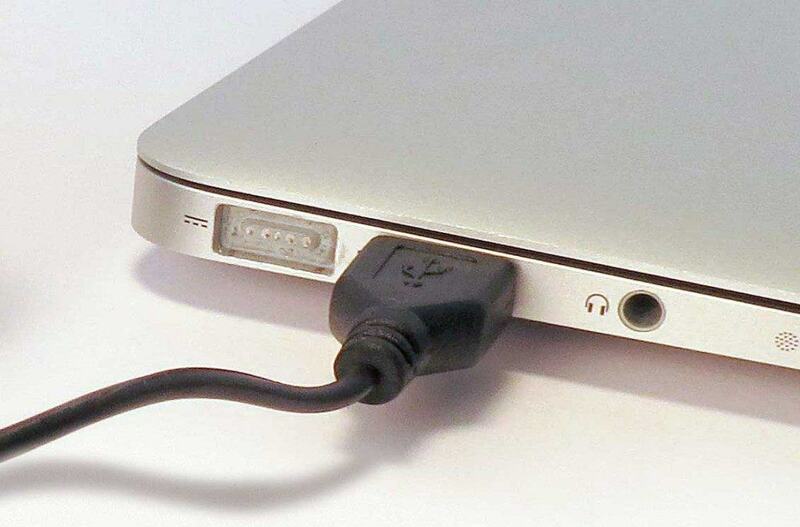 If you don’t have a USB Power Adapter, you can plug and charge directly from a USB port on your computer. Power Bank time is 2-4 hours. To confirm power bank is fully charged, press button and all four LED indicators will light up blue.